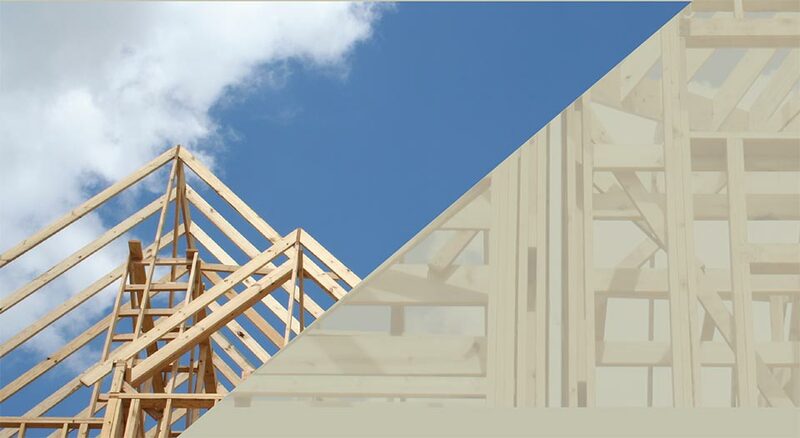 For almost a century, little has changed in the way homes have been built, but now, building science is leading homebuilding into a new era. A hundred-year-old or more Craftsman or Victorian home might seem a normal sight in today’s neighborhoods. However, how normal would a Model T or horse and buggy look? Technology has driven transportation incredibly far forward, so much so that people can identify the age of a photo by cars, and a new Tesla easily announces today’s date. Homebuilding has eluded dramatic technical advancements—at least until recently. Builders, architects, and specialists now can build better and longer-lasting homes because of the advances in building products, techniques, and testing. However, building codes are not yet mandating these advances in building science. It puts people building homes in an interesting position as they dialogue with the pros on their teams. Questions arise that aren’t easily answered. It costs more to build with advanced practices, so is it worth it? What differences will spending the extra money make to the comfort of living in the home or operating costs like utilities and maintenance? And the biggest question: what happens when it is time to sell? Can the money be recovered? Will others see the value? Park City builder Preston Campbell acknowledges that these are difficult questions for those building a new home. For a perspective, he suggests looking north to Canada where the codes demand far more. 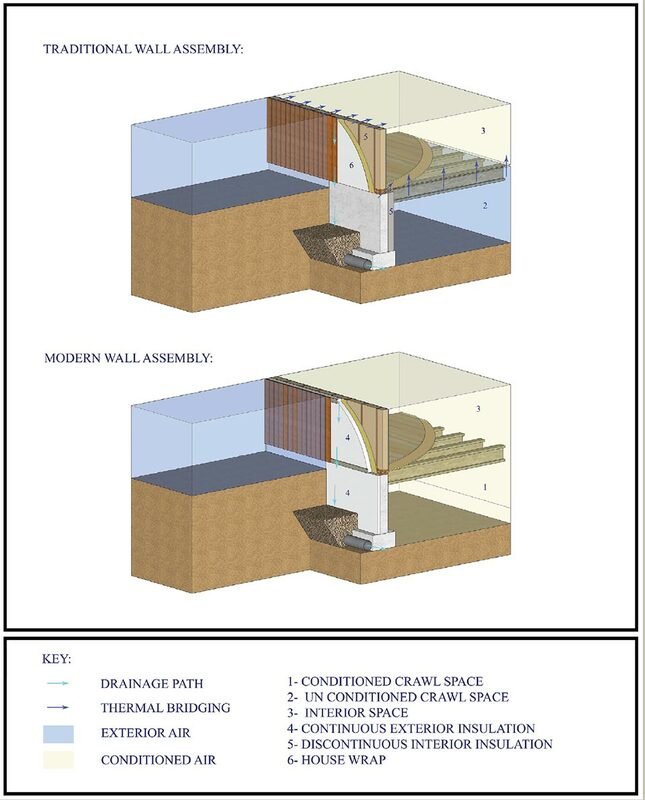 “The Canadian code with standards for fresh air exchange, drainage planes, U-values for windows, and R-values for walls are 20 years ahead of here,” says Campbell. A side benefit to the Canadian standards is that new products have been developed to meet the standards and they are already on the market here. In the U.S., builders like Campbell and Ledyard can obtain the new products and build here to similar standards as required in Canada. However, Campbell admits that future-proofing homes comes at a cost. Until the issue of the gap between best building practices and what’s required by codes is worked out, there will continue to be a dialogue between builders and clients about how far they want to go and how high in the budget they are willing to reach. To better understand some of the new advances in building practices, it’s helpful to look back to the 1970s and 1980s, when fuel shortages initiated efforts to save energy. As a consequence, homes and commercial buildings were better sealed and insulated to prevent wasting the energy used for heating and cooling. Despite good intentions, problems emerged from sealing and not exchanging the air, like sick building syndrome. That means that a cold, drafty Victorian home had winds gusting through and never felt warm, but along with those uncomfortable drafts came fresh air. Tightly constructed and well-insulated homes, such as those we have in Park City, need some help. As an adage in the building science community goes, build tight and ventilate right. Campbell continues, “Fresh air exchange is essentially a math problem to provide as much fresh air as needed per hour. This is accomplished by properly sizing the HRV (heat recovery ventilator) to bring the correct amount of fresh air in and to do it while warming it up for free using the heat from the stale air you are expelling.” As he explains, HRVs are a big step in making living in a home with air exchange comfortable because the HRVs bring the temperature of the incoming fresh air to the desired temperature. Little energy is lost, as the system recovers the heat from the stale air that is exhausted. Matthew Tracy is watching ICE cooling systems. 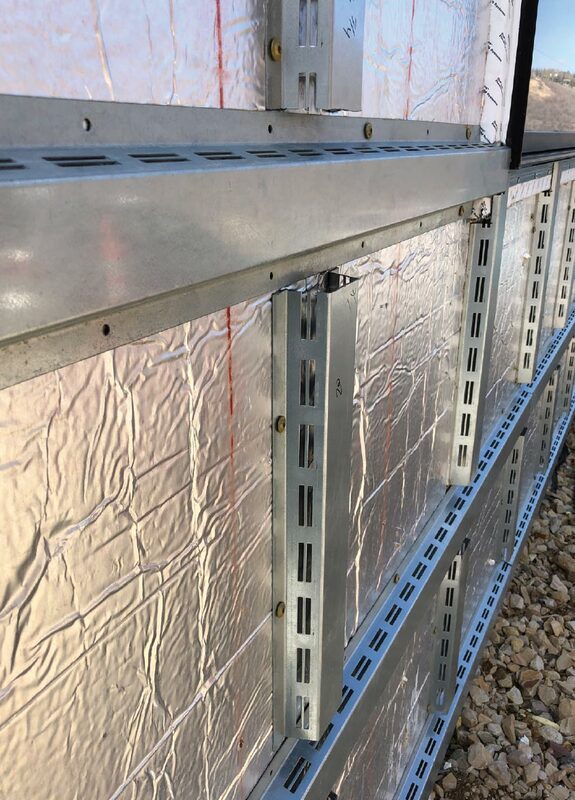 Now found in commercial buildings, the technology allows for nighttime off-peak energy to provide cooling during the day. Jason Ledyard notes that with more and proper insulation, ERV (energy recovery ventilation), and designing an efficient but smaller-sized cooling system, the energy savings pay for the upgrades within 10 years. Preston Campbell has a similar observation. “In Park City, we are building bigger and more complicated homes with more steel, more cantilevers, flat roofs, greater expanses of glass, fewer walls, and less wood,” he says. 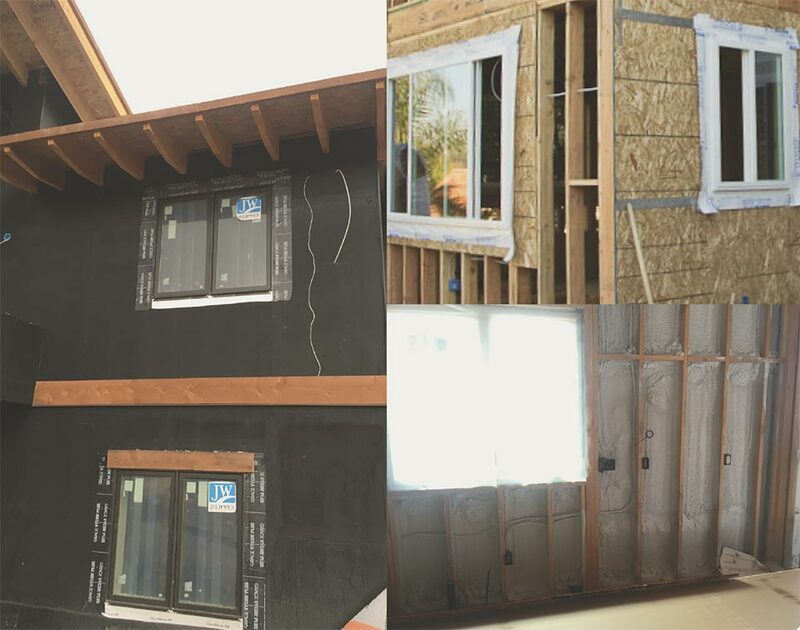 Bottom line, new designs are possible with the advances in building science, and the shifts in home design have pushed materials and construction. The interplay pushes contractors’ building skills and techniques, and the contractors challenge home designers to create more complex designs. The result is a leap since the millennium in home quality, complexity, and dramatic design, but it leaves consumers with some difficult decisions as to whether they should pursue the advances and count on financial rewards in the future rather than budget savings today. It is interesting that when professionals make electronics and automation work well, we don’t notice technology. Not demanding much of our attention doesn’t diminish the important role that electronics play in the easy management and efficiencies that building science has introduced into homes. Glenn Johnson is the face of home technology to many national clients, as a lighting and systems architect, inventor, author, lecturer, and owner of Park City’s Adaptive Design Group. He takes time to explain the newest technologies in homes. whj : What have been the changes in automation to help save energy in homes over the last 20 years? Glenn Johnson: Energy savings depend on the level and quality of the automation system. For example, most custom homes in the last five years minimally have adopted energy-saving LED lighting and automated dimming controls. Initially, these two elements add to higher costs for fixtures and equipment, but they are easily paid back in three to five years in energy cost savings. Home automation and management elements like temperature controls, water flow, and electricity management are important for overall savings, but I find that few architects and builders brief homeowners in the technology. There is excellent hardware to select from, but it takes seamless software communication and experts in design and installation to coordinate and piece everything together. 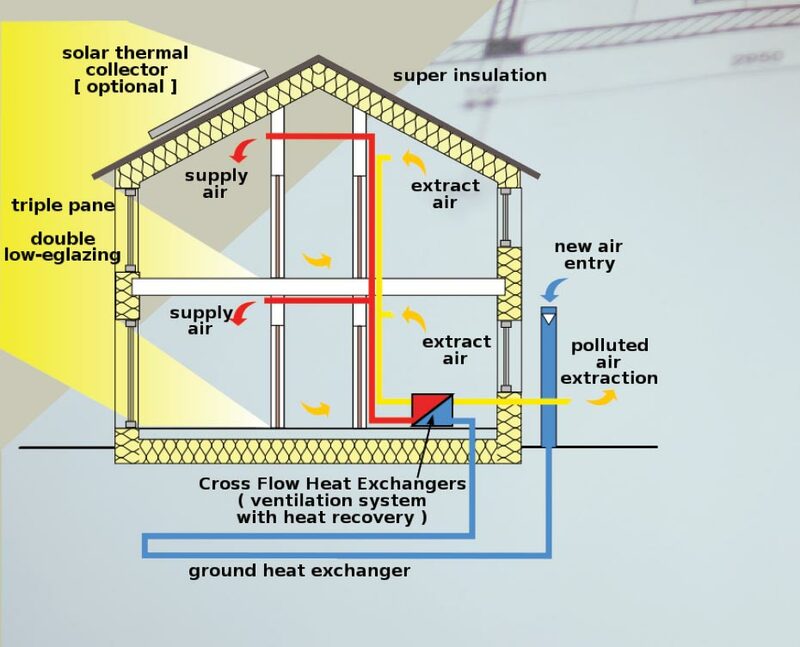 whj : On that subject, how does automation provide monitoring and controls for heating systems we have been talking about with radiantheating, cooling, and fresh air exchange? GJ: A full home automation system incorporates heating, cooling, fresh air, radiant floors, and motorized windows and window coverings, but it takes forethought, coordination, and planning. Perhaps the only time all of the build disciplines are in the planning room together is when there is complete design coordination for the automation systems between the systems designer (like me), integrator, architect, electrical and low-voltage contractor, mechanical contractor, plumber, and general contractor. 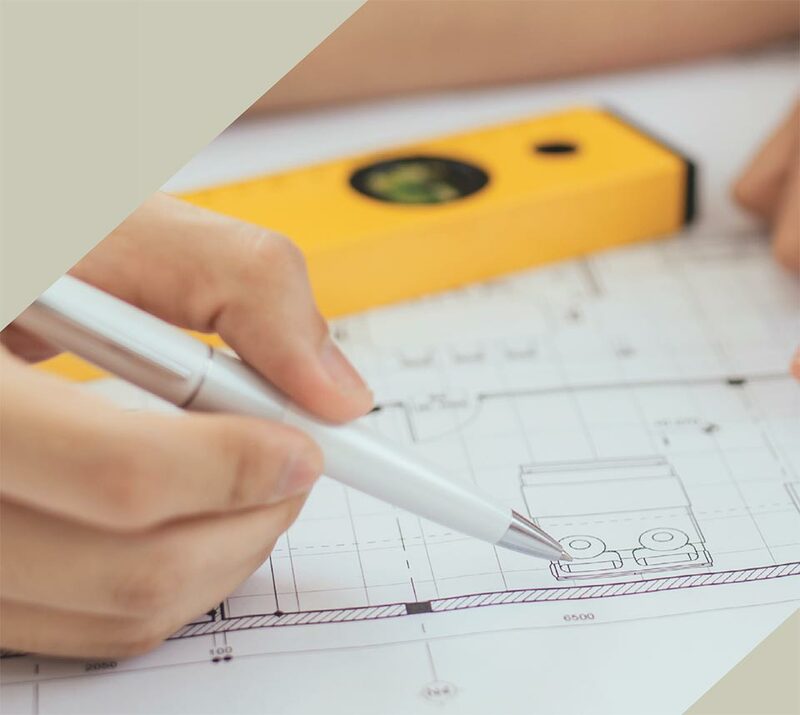 The meeting results in full drawings, including all controllable equipment, connectivity, user interface wall devices, and sensors, as well as a division of installation labor that must be defined up front. Properly executed, the home is automatically set to the predetermined temperature levels according to the owners’ wishes. Wall controls add a degree of flexibility, but largely the entire system is pre-set to call on heating and cooling based upon the room temperature sensors for keeping the home comfortable. Without a clear idea about what temperatures the client wants and a meeting to sort out zones, homeowners will find it frustrating to find the right settings. Best to solve it in advance. whj : How does technology know how well systems are performing? GJ: Home integration systems on a wired network are constantly monitoring the use of the home and reporting any faults on all systems. Other than the initial set-up and testing of all systems, the network monitoring does the rest. Good reporting, immediate response to critical data, and boots on the ground lead to homeowners’ comfort. 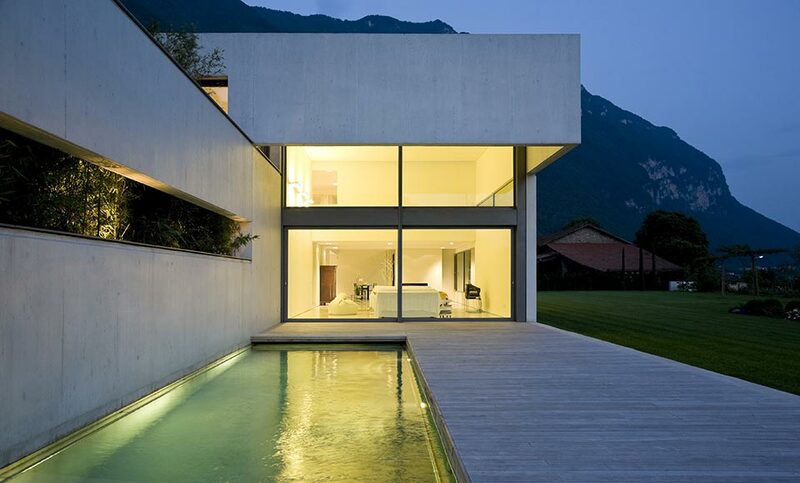 whj : What technology can we expect in the future for advanced homes? GJ: I have mentioned wired networks a few times. The future-proofing of any home will require hardwired network cable, Cat6, throughout the home to a hub location. With large amounts of data and technologies that are flowing to the home, the Cat6 backbone coupled with a secure network are the sure keys to success. Wireless plug and play DIY systems should not be expected to be the end-all to energy savings, swift data transfer, and full home automation.